Bill Morneau, Canada's Minister of Finance, is photographed after a Globe and Mail interview in Toronto, on March 13 2019. The spotlight has not always been kind to Bill Morneau. Take, for instance, a town hall meeting held in Oakville, Ont., in September, 2017. A couple of months earlier, during a sleepy summer, Mr. Morneau unveiled a package of changes to the small business tax regime. The issue soon blew up in his face. Doctors, lawyers, farmers and business owners were outraged at policies they saw as unfair, which, among other measures, sought to restrict how income could be spread among family members who contribute to a business. Worse, they felt the government was branding them as tax scofflaws. In Oakville, the crowd seethed, hurling questions at Mr. Morneau, and often drowning him out. “I appreciate … ,” he ventured before capitulating to the aggrieved shouting. “Guys, please let him speak,” pleaded fellow cabinet minister Karina Gould, who was there as host. That bought him at least a couple of minutes before another heckler interjected. Ms. Gould had to stand up and beg for calm before giving the floor back to Mr. Morneau. “So, I’ll really stop there,” he said, “and say that I appreciate your comments." It was an almost painfully reticent response, but not an unusual one for Mr. Morneau. For a finance minister, one of the most powerful positions in Ottawa, he is oddly reserved and non-confrontational. Contrast him with predecessors such as Paul Martin and Jim Flaherty: All were take-charge characters and household names in their own right, and their prime ministers relied on them to implement bold agendas. But after four years, Mr. Morneau has yet to make much of a mark, and frustration with him in many segments of the business community seems to be building. He is not, by his own admission, a natural politician. He has sometimes appeared uncomfortable or stiff in front of cameras, his statements bogged down with talking points. The adversarial nature of Question Period, in which MPs lob insults at one another, is far more chaotic than the genteel world of pension management, where Mr. Morneau worked as an executive for more than two decades. His steadfast reserve seems out of the place with the unrelenting enthusiasm of many of his younger colleagues in caucus, and especially set against Prime Minister Justin Trudeau’s propensity for hugging and photo bombing. Prime ministers and finance ministers are often inseparable, but Mr. Trudeau’s innermost circle has consisted of Katie Telford and (until recently) Gerald Butts, whom he’s known for years. In an interview in his office in Toronto, however, Mr. Morneau seems pretty relaxed for a guy who will deliver his fourth federal budget on March 19. Wearing a crisp blue suit, he looks every bit the businessman he was before he entered politics. He’s even quick with a smile. That sounds decisive and reassuring. And no one has ever doubted Mr. Morneau’s credentials. After he was elected in the riding of Toronto Centre and appointed Finance Minister, his supporters played up his business experience. Those credentials lent the rookie Liberal government under Mr. Trudeau a degree of fiscal sobriety and gravitas. But in many corners of Bay Street and the larger business community, there is a sense of disappointment with Mr. Morneau. The federal government is racking up deficits with no plan to pay them down, crucial infrastructure is still not built and business investment is weak. The Liberals scrapped a previous plan to return the budget to balance, and now target a reduction of the federal debt-to-GDP ratio. Its fiscal projections will almost certainly change in Tuesday’s budget. Mr. Morneau’s friends, associates and former colleagues insist that the image doesn’t match reality. They say he truly thrives behind closed doors – tackling big files, talking policy or handling tough negotiations. His contributions are substantial, but largely unheralded, they say. The voting public doesn’t get to see the deal-maker and negotiator behind the scenes. Mr. Morneau has a few more months to make that case himself, but he doesn’t like to dwell on his record. “I am much more interested in getting stuff done than in talking about what I’ve gotten done,” he says. It is an election year, of course, and with that comes the possibility the forthcoming budget may be Mr. Morneau’s last. This one may prove to be more important than most, both for Mr. Morneau and his party. The Liberals are no doubt hoping whatever measures are unveiled in a few days will shift attention away from the scandal surrounding the government’s alleged political interference in the criminal prosecution of SNC-Lavalin Group Inc. The Liberals will have a much harder time campaigning as the exemplars of transparency, inclusivity and moral infallibility as they did before. That leaves them to tout more tangible policy achievements, particularly when it comes to the economy. Much of that task will fall to Mr. Morneau. He may not be as inexperienced as he was four years ago, but this time he’s making a sales pitch while carrying considerable political baggage. And the audience is much more skeptical. Canada's Finance Minister Bill Morneau tries on a new pair of shoes during a pre-budget photo opportunity with children in Toronto, Ontario, Canada, March 14, 2019. Just about anybody you ask on Bay Street will compliment Mr. Morneau on his business achievements. He earned an international education with degrees from INSEAD in France and the London School of Economics, and joined the pension-management and employee-benefits firm founded by his father, originally called W.F. Morneau & Associates, in 1987. Mr. Morneau was appointed president in 1992 and later added CEO to his title, overseeing acquisitions and eventually taking the company public. By the time he left the firm, now called Morneau Shepell, it was pulling in more than $560-million in annual revenue. Mr. Morneau was also involved in non-profit work, such as serving as chair of Covenant House, a shelter for homeless youth in Toronto. Through his job and his volunteer work, he could see shifts in the labour market that were hurting many workers. More skills training became necessary for decent employment, and the possibility of having a secure pension plan was narrowing. 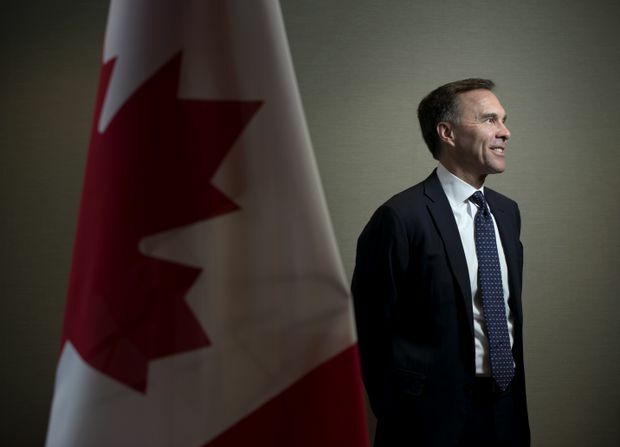 “Over the last few decades, you see that the benefits of a growing economy are increasingly going to those who are more prepared to be successful,” Mr. Morneau says. “For me, it was really, ‘Where’s the place that you can have the biggest positive impact on the country?' ” It’s the kind of sentiment that can sound painfully earnest, but that’s why he turned to federal politics. Mr. Morneau is an unlikely champion for the middle class. He’s a wealthy individual, married to Nancy McCain, an heir to the McCain family fortune. He set up a corporation to own a villa in France, after all. But friends say Mr. Morneau really means it. Some friends from the business world say Mr. Morneau never struck them as partisan, nor did he discuss politics. But in February, 2014, he appeared as a keynote speaker at the Liberal Party’s convention in Montreal. As Justin Trudeau looked on adoringly in the crowd, Mr. Morneau attacked the governing Conservatives’ economic policies. “As a business person, I can tell you, we can’t slash our way to success. We must invest in the things that matter,” he declared. Mr. Morneau became one of the Liberal Party’s star candidates and he was rewarded with the finance post. For someone who had never held elected office at any level of government before, it was a remarkable show of confidence. Finance ministers have loomed large in Ottawa. Michael Wilson helped negotiate the North American free-trade agreement and implemented the controversial federal goods and services tax. Paul Martin is renowned for tackling the deficit. Jim Flaherty held the reins during the financial crisis. Indeed, since Donald Trump was elected U.S. President, so much of the government’s attention has been focused on renegotiating NAFTA. An army of Canadian officials was involved, including Mr. Morneau, but Foreign Affairs Minister Chrystia Freeland emerged as the lead. It’s also not Mr. Morneau’s style to showboat. “Nobody can see this from the outside, but he’s played the role of COO inside the government,” says Robert Asselin, who served as policy and budget director for Mr. Morneau until 2017. “He didn’t see his role as being in the media every day." Canada has added more than 900,000 jobs since the Liberals’ election win. At 5.8 per cent, the jobless rate is near its lowest level on record. Average annual job growth under the Liberals is roughly in line with historical averages. Ottawa was a new environment for Mr. Morneau, and his modesty was occasionally on display. Mr. Asselin points to three achievements he feels have been overlooked. 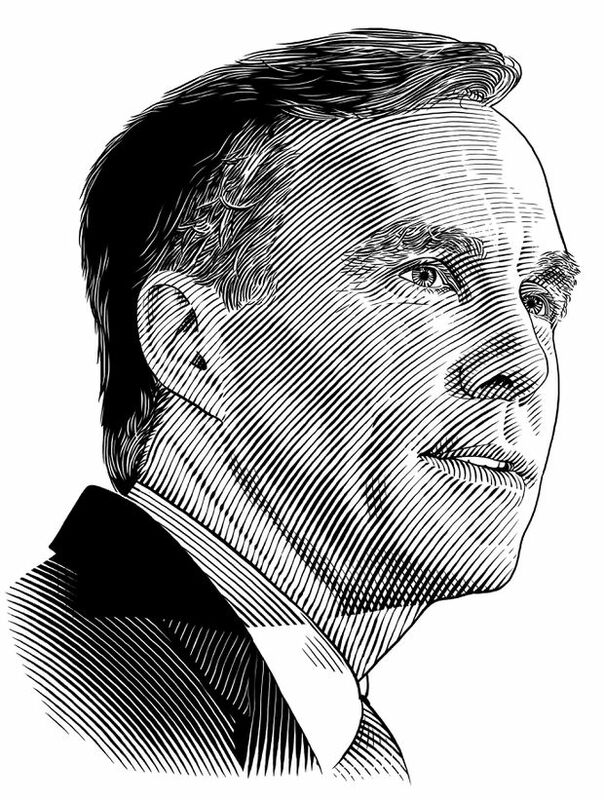 Early in Mr. Morneau’s tenure, he struck a major overhaul of the Canada Pension Plan with the provinces, a tricky file that languished unresolved among finance ministers for years. The process took about a year, and Mr. Asselin credits Mr. Morneau’s negotiating skills for clinching the deal. Mr. Morneau also took on the thorny issue of federal health transfers to the provinces, and methodically struck long-term agreements with each government one by one. Within months of his appointment, Mr. Morneau also announced the creation of an economic advisory panel led by Dominic Barton, global managing partner emeritus at McKinsey & Co. The panel ultimately led to the creation of new federal agencies, including the Canada Infrastructure Bank and the Invest in Canada Hub to attract foreign dollars. Mr. Morneau is the type of leader who asks questions rather than assert his opinion, Mr. Barton says. He recalls a cabinet discussion last year focused on putting trade talks with China on hold in light of NAFTA negotiations and because of growing tensions between the United States and China. Colleagues also praise Mr. Morneau’s cool demeanour during tense negotiations, such as the talks to purchase the Trans Mountain pipeline from Kinder Morgan Inc. last year. “The guys at Kinder Morgan were really tough negotiators,” says Mr. Siddall, who Mr. Morneau recruited for the deal-making sessions. The company’s opening position was aggressive, Mr. Siddall recalls, but Mr. Morneau didn’t respond with hostility. “He made it clear he was unhappy. He didn’t raise his voice, he didn’t use strong language,” Mr. Siddall says. “He just said, ‘You’re being unreasonable.’ ” Regulatory filings show the company’s initial asking price was $6.5-billion, which the government negotiated down to $4.5-billion. The purchase was controversial, of course. Environmentalists were dismayed. A recent report by the Parliamentary Budget Officer concluded Ottawa likely overpaid, too. “That was a project we didn’t want to take on, but took on because we knew it was the right thing to do for the country,” Mr. Morneau says. The government contends the purchase will prove to be a worthwhile investment, leading to new jobs and increased tax revenue – should the project proceed. Governor General David Johnston and Prime Minister Justin Trudeau look on as Bill Morneau is sworn in as Finance Minister during ceremonies at Rideau Hall, Nov.4, 2015 in Ottawa. For some observers, Mr. Morneau disappointed almost immediately into his tenure. Former Bank of Canada governor David Dodge, now a senior adviser at Bennett Jones LLP, faults the government for its approach to the retirement age. The previous Conservative government made plans to raise old-age security eligibility from 65 to 67 to address the strain of an aging population and longer life expectancies. One of the most difficult periods proved to be the controversy over Mr. Morneau’s personal finances. In October, 2017, The Globe and Mail reported he had not placed his substantial private financial holdings into a blind trust, prompting months of heated questions over his personal ethics. Mr. Morneau maintained he had followed the advice of the Ethics Commissioner, who later launched an investigation into whether the minister was in a conflict of interest when he introduced a bill on private pension rules. The investigation later cleared Mr. Morneau, but the commissioner’s office fined him $200 for failing to disclose all relevant details of his ownership in a villa in France. While under attack for his personal finances, Mr. Morneau was still dealing with the fallout from the government’s changes to small-business taxation. The policies were meant to fulfill a campaign pledge to ensure that small-business structures were not used by wealthy Canadians for tax avoidance, but the government’s messaging on the issue was viewed by many as a personal insult. “Every business owner in the country firmly believed they were being called a tax cheat by the Minister of Finance,” says Dan Kelly, president and CEO of the Canadian Federation of Independent Business. Economic growth cooled considerably in the fourth quarter of 2018, and weakness is widely thought to spill over into 2019. However, many private-sector economists expect growth will pick up in the latter half of the year. Speaking generally, he says he’s spent a lot of time over the past few years improving his communications skills, whether it’s with the media, giving speeches or standing up during question period. “The very personal and aggressive part of that is something that is not, in my estimation, that productive. But it’s part of the role you get acclimatized to,” he says. Mr. Morneau’s restrained approach is made all the more apparent when contrasted with Conservative finance critic Pierre Poilievre. He is Mr. Morneau’s polar opposite in practically every way, quick with a retort, instinctual rather than considered, and clearly relishing his job to make the Finance Minister uncomfortable. He often smirks when he asks a question he knows Mr. Morneau will not answer, such as during a committee meeting last year when he grilled the Finance Minister about a timeline for balancing the budget. “What I can tell you is … ” Mr. Morneau repeated, before offering a non-specific answer. The statement, though, still has the feel of something being workshopped. What really matters when assessing finance ministers is whether their policies have helped or hindered the economy. During Mr. Morneau’s time as Finance Minister, economic growth has been tepid, but not terrible, and the country’s unemployment rate is at 40-year lows at just 5.8 per cent. As much as the Liberals love to talk about jobs and the economy, how much they can legitimately take credit for is debatable. The Canada Child Benefit, introduced in Mr. Morneau’s first budget, did put about $7-billion into the pockets of Canadians and gave the economy a one-time boost, says Douglas Porter, chief economist at the Bank of Montreal. But over all, the effect of the Liberals’ policies is tricky to determine. “Governments get too much blame when times are bad, and they get too much credit when times are good,” Mr. Porter says. But there are other measures of success or failure. When Mr. Morneau introduced the Canada Child Benefit, the goal was to boost incomes and reduce poverty. Statistics Canada reported in February that median after-tax income of Canadian families and unattached individuals rose 3.3 per cent to $59,800 in 2017, following two years without growth. The percentage of Canadians living below the poverty line, meanwhile, dropped from 10.6 per cent in 2016 to 9.5 per cent in 2017. The hallmark of Mr. Morneau’s tenure, however, just might be deficit spending. The Liberals ran on a campaign of modest, short-term deficits and a balancing of the books by 2019, then promptly tossed that plan aside after winning. Mr. Morneau has presided over a period that saw nearly $40-billion in new debt added over three years. There is no plan to return to balance. According to the government’s November fiscal update, federal debt will hit $764.7-billion in 2023-24, up from $634.5-billion in 2015-16. By the time the Liberals took office, they learned of a $10-billion shortfall in government finances compared with the figures used to develop their platform, as the economy took a hit from the decline in oil prices. Rather than curtail spending plans, the fiscal gap and sluggish growth strengthened the incentive to spend, says Mr. Asselin, the former budget and policy director. “It kind of helped the narrative that we were trying to establish, that we needed structural measures that would help the economy for the long run,” he says, even though it would mean running bigger deficits than promised. Executives on Bay Street are more likely to be in the “maybe not” category. The Globe spoke with a handful of them, all of whom requested anonymity to share their views candidly. While they admire Mr. Morneau as a person and business leader, they’re unhappy about some aspects of his tenure. They grumbled about deficits, tax rates, the slow pace of infrastructure spending and the fact that Canada still faces huge challenges exporting crude oil. Canadian business investment dropped off as Alberta languished in recession. Investment figures have yet to fully recover. Even Mr. Morneau’s fall update, which included an accelerated capital-cost allowance for businesses, was criticized as a reaction to the steep corporate tax cuts in the United States. Business investment, meanwhile, is still below where it was four years ago. The government’s single-minded messaging on the middle class has left some executives wondering about the Liberals’ commitment to business. These comments may be more revealing of Bay Street than of Mr. Morneau, however. “I’ve heard people whine about it: 'He was one of us, how dare he.’ All that stuff,” Mr. Siddall says. “This is a Liberal, centre-left government. His position would not be tenable if he did not play ball,” he says. Earlier in his interview with The Globe, Mr. Morneau deflected when asked about what his former colleagues in business thought of his tenure as Finance Minister. But as the conversation winds down, he returns to the question, unprompted.